Simple and sophisticated, these Panel Tracks are a great way to cover over-sized windows or patio doors. Made of light-weight aluminum, Panel Tracks offers a sleek, contemporary look with a low profile design. The width can be cut in stores to fit your window size, making it an ideal solution for large windows, as a room divider or even a closet door! The Panel Track Head rail is compatible Fabric Panels (sold separately). 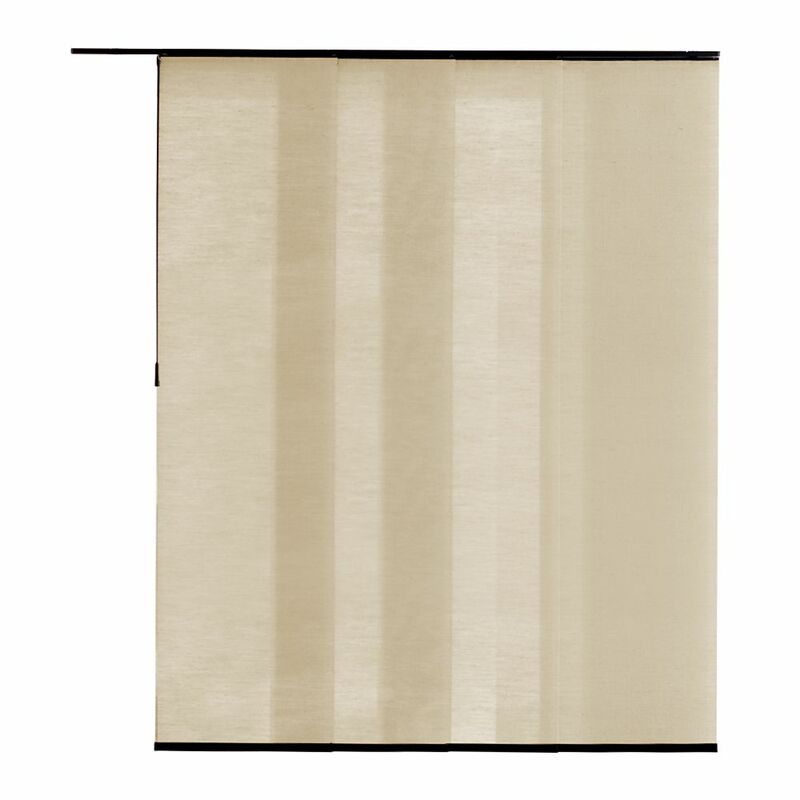 Panel Fabric Maui Tan 21.5-inch x 84-inch (Actual width 21.5-inch) Versatile and ultra-chic, these sliding panels are designed to be used as a simple yet stylish solution for covering large windows or patio doors, closet openings or to be used as room dividers. Sliding Panels are made from durable materials and offer light filtering properties. The panel length can easily be adjusted at home with a pair of scissors. Pair these sliding panels with the compatible Panel Track Head rail to refresh your room decor today.